Today’s blog comes from our expert festival goer Vivan. We have compiled a list to help you survive all things Splendour and make it the most memorable festival ever. Get the glitter and the gum boots because it’s going to be an awesome weekend and if you can’t make you can totally just tune into Triple J. Pack layers! Tights, jackets or a fun poncho – these roll up small into your day bag or tie it around your waste. Gumboots plus proper gum boot socks or you are just going to have wet cold dry muddy legs. Comfort is totally key to last the whole 3 days. Bring a garbage bag to put your muddy gumboots in for the flight/drive home. Or you could throw them out if it’s like Splendour in the Mud 2015. Gatorade/Electrolites for the next day, so you can back it up to continue on and not miss any of your favourite acts. Don’t stress about the big meals, because you will most likely get FOMO from all the delicious food vans. Bring snacks but don’t plan full meals and that leaves more room in the bag for your awesome costumes/accessories. 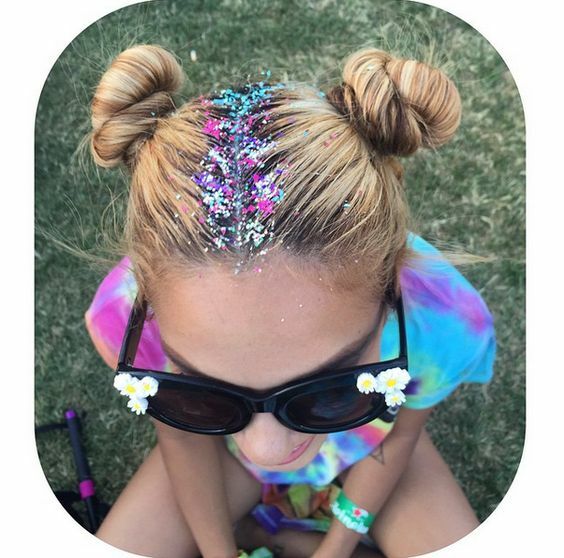 Speaking of costumes – flower crowns are out. Onesies are so 2013. Diamantes and glitter are the next big thing (you’ll find all things glitter and sparkle at your local craft shop in the scrapbooking section) and get inspired by the below. Group costumes are an awesome way to find each other and also look totally babin’. But if you can’t agree on a group costume, it’s time to great your unique hand signal… This will be handy when your squad is moving between stages and finding the other members who have wondered off. If you are going all out and camping, baby wipes and dry shampoo are your new bestfriends. You can have a babywipe shower every day without standing in a 3 hour long queue for a real shower – ain’t no body got time for that when Montaigne is playing. Either bring something to make your tent distinguishable like an extra tent poll with solar lights or a flag to help you find your way home at night. However this is a beacon and will attract everyone here… so proceed with caution. Don’t forget the basics: hanging torch, hand sanitiser, cards against humanity, condoms, sunnies – hangover you will appreciate this, an empty drink bottle so you can pour the open cans from the bar into it so you don’t waste it, EXTRA socks – your feet will get wet, cold and muddy.